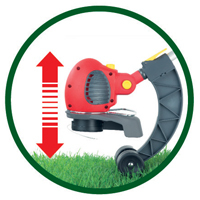 With its dual-cord technology, the high-performance WOLF-Garten GTE850 Lawn Trimmer features a second adjustable handle that can be used for trimming and edging (vertical cutting) at the touch of a button. 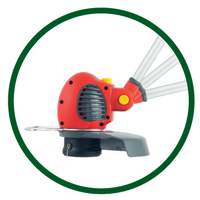 Its quiet and low vibration 500 watt motor, optimum handle ergonomics, telescopic handle adaptable to body size and the 90° rotating working angle are some of its outstanding features. Cord feed is automatic, the spool is easy to replace, and the spool holder is included. 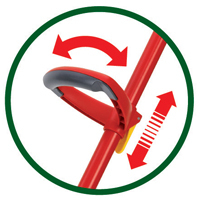 The handle angle of the head can be individually set which means that it can be perfectly adapted to any situation. 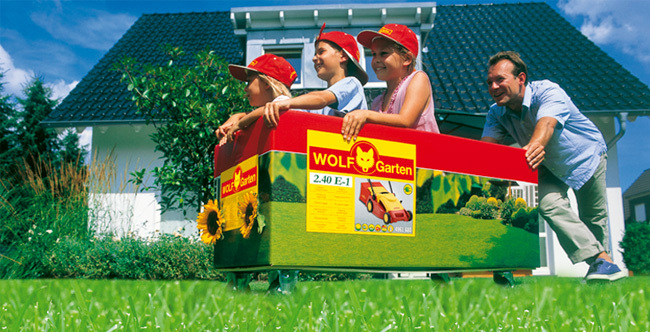 Weighing just 2.3kg and with a cutting width of 27cm, Softgrip, wheels and the plant hoop guard, the WOLF-Garten GTE850 lawn trimmer is perfect for accurate, problem-free lawn edging. The trimmer arrived well packed without excess packaging. It works well and does what the manufactures claim.